Now that Halloween has passed, and November has arrived, most of us are starting to look forward to the holiday season. And with the arrival of the holiday season, that means it’s time to start your Christmas shopping. 1. Gift Certificate: Give the gift of a vacation that promises rest and relaxation. 2. A Baseball Cap: Perfect for that sporty person in your life! 3. 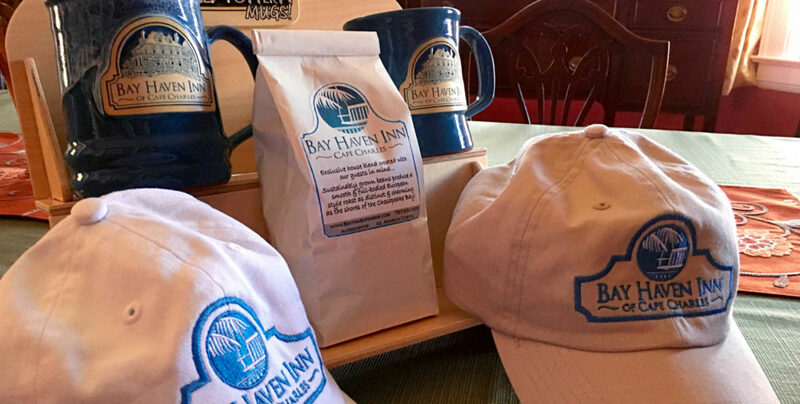 Bay Haven Inn Coffee: Sip a taste of coastal life with our exclusive Eastern Shore Coastal roast. 4. Our Signature Bed Sheets: There’s a reason our guests sleep so soundly! Treat your friends or family members to the soft comfort of our luxuriously smooth bed sheets that come in a variety of colors and in either king sized or queen sized. 5. Our Signature Robe: Give the gift of warmth with one of our lush signature robes. They’re soft, cozy, and a great way to beat the upcoming chill of the season. You can find these gift options and more on our online gift shop, so click here to check it out! We look forward to seeing you soon on your next Bay Haven Inn of Cape Charles adventure. The holiday season will be here before you know it, so don’t delay and book your stay. This entry was posted in Bay Haven Inn Experience and tagged Bed and breakfast, Gift certificate, Gift giving guide, Holiday gift guide, Shop local, Virginia lodging by admin. Bookmark the permalink.